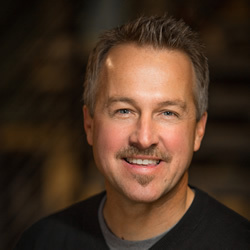 Dave Ferguson is the lead pastor of Community Christian Church, an innovative multi-site missional community that is passionate about "helping people find their way back to God." Community has grown from a few college friends to thousands every weekend meeting at eleven locations in the Chicago area and has been recognized as one of America's most influential churches. Dave provides visionary leadership for NewThing, whose mission is to be a catalyst for movements of reproducing churches. He is the president and board chair for Exponential, the largest church planting conference in the world and is on the board of Leadership Network. He is also an adjunct professor at Wheaton Graduate School and and award-winning author of eight books, including Hero Maker: 5 Essential Practices for Leaders to Multiply Leaders. Dave Ferguson provides an overview of the 5 essential practices for leaders to multiply leaders.